On a full moon, the sun and moon briefly meet on opposing horizons. 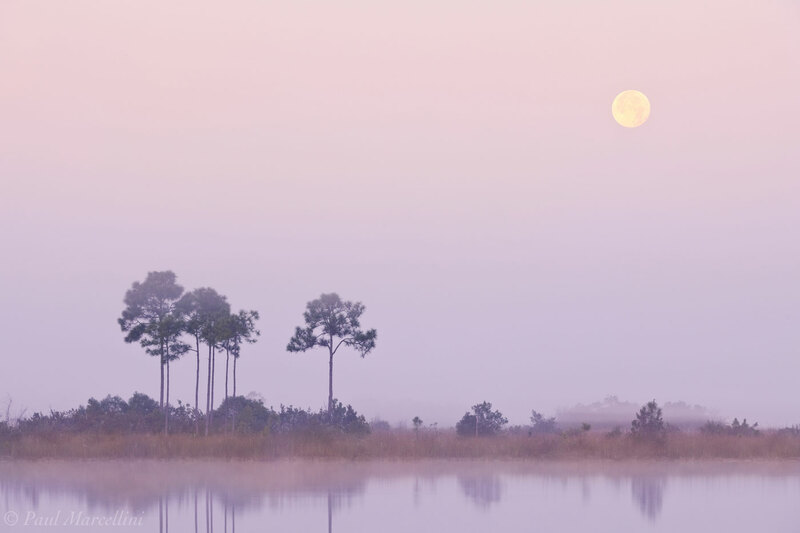 Here, the moon is setting as the sun rises over a foggy Pine Glades Lake in Everglades National Park. 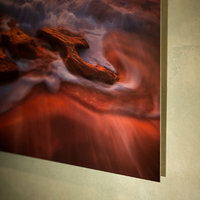 Photo © copyright by Paul Marcellini.